I don’t know what this means. Spotted at Popeye’s on 14th and 7th Ave, NYC. Is there a race of cups? 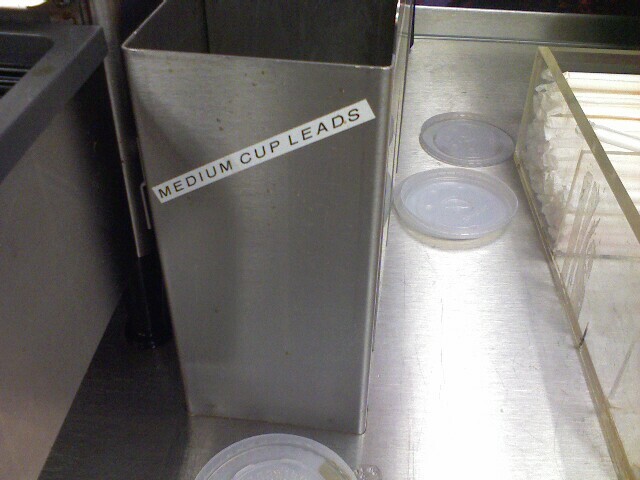 And the Medium Cup is in the front? If so, good for you, Medium Cup.